Cockroaches have the flexibility to squeeze themselves through the tightest of gaps and into the smallest spaces. They love darkness, creeping around at night when the lights go out, and they have incredible night vision. The very first piece of advice is to keep your home as clean and tidy as possible. This isn’t just about cleanliness, either. It’s also about neatness. The less things that are lying about, the less places there are for cockroaches to hide. All spills on the floor should immediately be cleaned up. 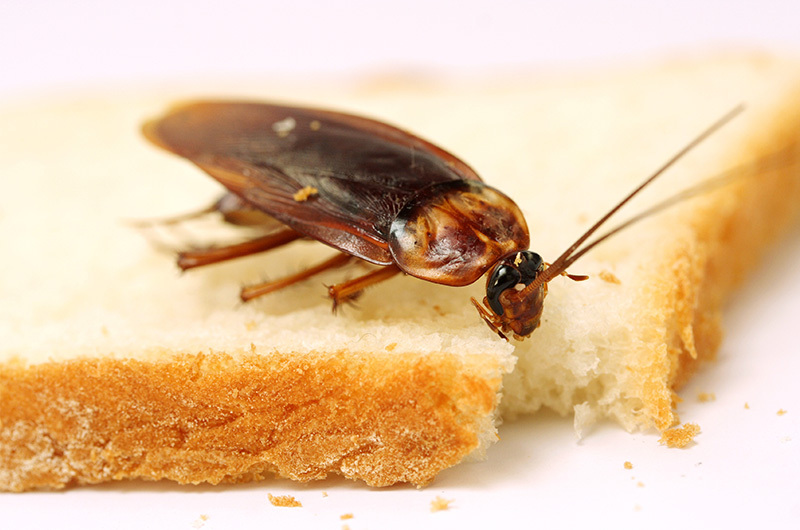 Food in the pantry and kitchen cupboards should be stored in airtight containers so roaches can’t get inside. Empty those rubbish bins regularly and keep the outside bins well away from your home. Bowls of pet food should be put away at night time so as not to tempt cockroaches to come near or inside the house. 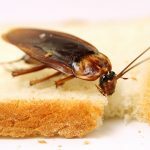 Any food you can store in the fridge should be placed there, as cockroaches either can’t get inside, or if they did, they would not survive the cold temperatures for very long. What you don’t want to do is have a home that’s like an open invitation for cockroaches to come inside and never leave. If there is a steady supply of food for them they will want to hang around. You really want to keep those kitchen benches wiped clean very regularly as well, as even the smallest hint of a feed will attract a roach. Like all living things, cockroaches need to drink water, so make sure there are no dripping taps, as this will also attract cockroaches and they’ll set up residence close to the water source. Overall, the less there is on offer in your home for cockroaches, the less likely they will want to hang around. If food and water is scarce for them in your home, they will probably pack up and leave to find more generous pickings. 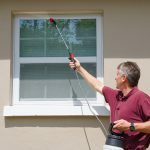 To really control and eradicate cockroaches, your best plan is to call in the help of your local pest control company. On the Gold Coast, get in touch with us at SelectAPest. 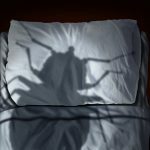 We are experts when it comes to ridding your home of dreaded cockroaches.